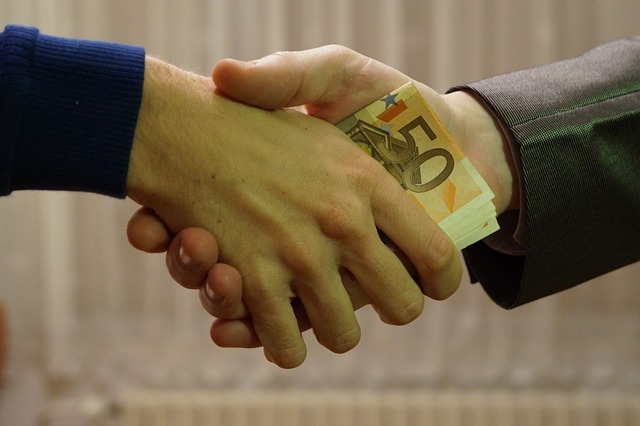 HOUSTON (CN) – Dutch oil service company SBM Offshore agreed Wednesday to pay the U.S. government $238 million to settle a criminal charge for its bribery of foreign officials in Brazil, Angola, Equatorial Guinea, Kazakhstan and Iraq. Publicly traded on a European stock exchange with its headquarters in Amsterdam, SBM Offshore has more than 4,750 workers and offices in the Netherlands, Singapore, Houston, Brazil and Monaco. It owns the world’s largest fleet of floating oil storage vessels, ships that gather oil and gas, process it and offload it onto tankers or into pipelines. Federal prosecutors in Houston on Wednesday charged SBM’s subsidiary SBM Offshore USA with one count of conspiracy to violate the Foreign Corrupt Practices Act, and it pleaded guilty to the charge the same day before U.S. District Judge David Hittner. From 1996 to 2012, SBM paid more than $180 million in commissions to middlemen, knowing the money would be used to bribe officials in the five countries, Southern District of Texas Acting U.S. Attorney Abe Martinez said in a statement. The bribes paid off as SBM made at least $2.8 billion on its contracts with the countries’ state-owned oil companies, prosecutors said. The $238 million penalty nearly matches the $240 million SBM paid the Netherlands in 2014 to settle criminal charges arising from the same corruption scandal brought by the Dutch Public Prosecutor’s Office. Petrobras, Brazi’s national oil company, is one of SBM’s main clients. SBM has agreed to pay the Brazilian government a more than $306 million settlement to keep doing business with Petrobras. “SBM has paid a combined worldwide total in criminal penalties in excess of $475 million,” Martinez said in a statement. The U.S. penalty could have been worse, Martinez said, but Judge Hittner reduced the penalty called for by sentencing guidelines, giving SBM credit for cooperating with the Justice Department’s investigation into it, firing and demoting employees involved in the scandal and implementing internal controls to snuff out corruption. SBM’s deferred prosecution deal comes after two of its former executives pleaded guilty to conspiracy to violate the Foreign Corrupt Practices Act before Hittner earlier this month. Anthony Mace’s sentencing hearing is set for Feb. 2, 2018 and Robert Zubiate will be sentenced Jan. 31, 2018. They both face a maximum punishment of five years in prison and a $100,000 fine. Both men are free on bond. SBM hinted on Thursday that its cooperation with prosecutors could lead to charges against more SBM officials. “The agreements do not provide any protection for individuals against prosecution, regardless of their affiliation with the company. As part of the deferred prosecution agreement and guilty plea, SBM Offshore will continue to cooperate with the DOJ,” SBM said in a statement. SBM’s stock was trading at 13.99 euros on the Amsterdam Stock Exchange on Thursday, down from 15.49 euros on Nov. 4.